Hey gang, Valkor here. Sword Art Online is probably one of the best/worst anime series I’ve ever encountered. Let me explain a bit further – it’s great for the first 14 episodes of season one, but anything after that - to me - falls flat. Maybe I’ll get back into it, but I feel the story it tells in that first half was more than enough. Why are we discussing this in GameView? 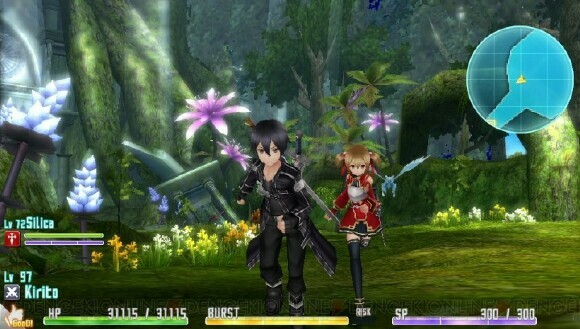 Well the folks at Bandai/Namco are bringing the MMO experience from the anime/manga to the PS Vita with Sword Art Online: Hollow Fragment, which was originally released on the PSP as Sword Art Online: Infinity Moment, but it adds a new area to the mix. 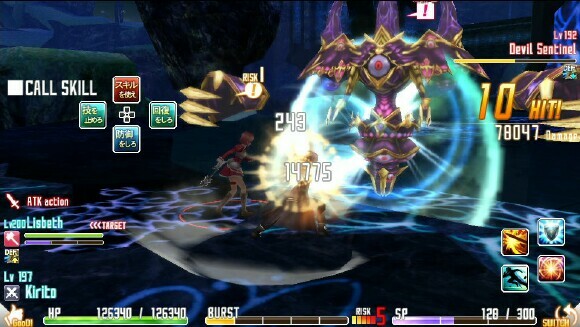 Hollowed Fragment is an action/rpg that replicates the MMORPG experience. 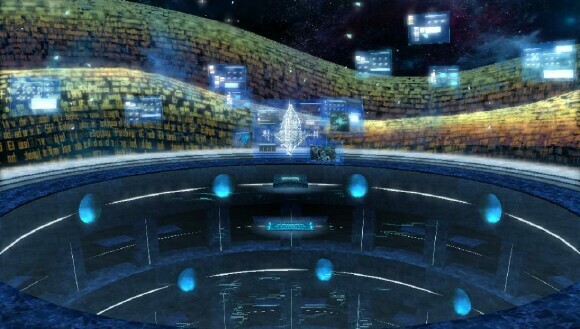 The game takes place in Aincrad just after events on floor 75, but in an alternate reality where, for some unknown reason, the game doesn’t end and the characters must continue onward to make it to floor 100. On top of that, players that died prior, suddenly reappear. 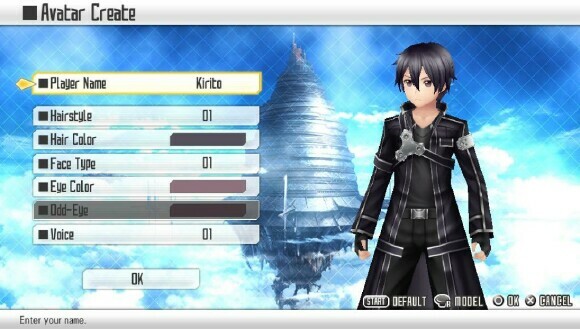 You’ll play as Kirito and when tackling a dungeon or boss, you get to choose amongst your friends – about 100, as your support. 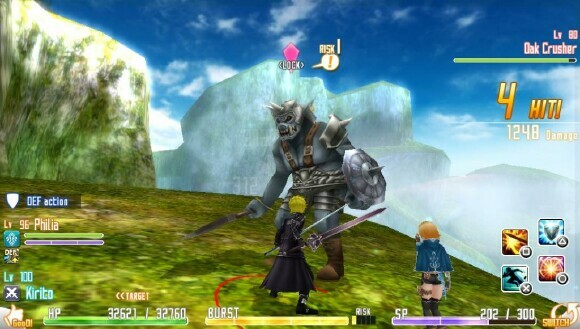 The game plays like any MMORPG where you’ll tackle dungeons, take on quest, assist other players in battle (or they'll come to your aid) or gather particular items. And the game is dependent on these quests; as you complete each one you’ll gain important info to aid and assist you in tackling the final boss of any particular floor. Oh and the game tosses you into something of a date sim, filled with plenty of interactions with the female characters, most of whom simply adore Kirito... but he's married to Asuna (hmmmmm); you do get to take them on dates – sort of. Well, you get to walk with them around town, buy them food and basically hang out with them. But unlike any date sim I’ve ever played, you don’t get to make any serious decisions or choose any particular dialogue. But it is a fun distraction from all the craziness. When on the battle field, there’s so much that you’ll need to pay attention to as the screen is literally filled with objects. 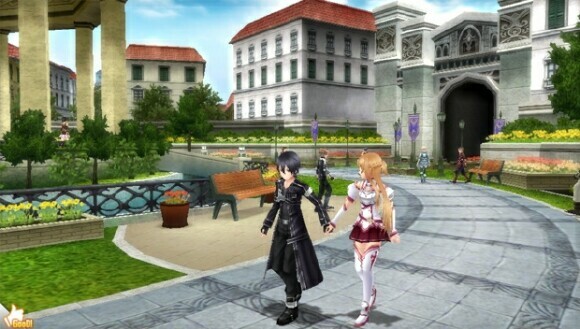 As Kirito, you can either take on any quest alone or with a partner. Once out in the field and fighting monsters, you’ll have a wide array of options to select from. For starters you have your basic melee attack as well as an option for parrying, blocking and also stunning an enemy. Pressing either L or R will bring up another set of options, either for yourself (which are customizable) or to give commanda to your second player. At the bottom of the screen there is a burst/SP meter that’ll allow you to use special attacks when full; once depleted your back down to basic attacks, but the meters will gradually refill as you progress. There’s also a map in the top right corner that can be blown up with just a touch. And speaking of touch screen action, in the bottom left corner is a touch button to praise your support character; this helps build a positive relationship with that character and in turn they’ll give your SP meter a boost. New to this game is the Hollow Area, featuring a new character - Phillia. Playing in this area follows the same mechanics as Aincard, except it’s much more difficult and it’s all about hunting for treasure (as Phillia is a treasure hunter by trade). You’ll also earn “hollow points” that can be used for upgrades and such. Finally there are some beautiful and I mean beautiful cinematics tossed in that really completes the entire experience. That’s a heads up on the good section. The first time I dove into Hollow Fragment, I will admit I was very overwhelmed because I wasn’t sure exactly what was going on. Believe me, there’s a lot to take in and the game breezes you through the tutorials; so I ended up playing the game all kinds of wrong. But after getting my bearings, I was able to figure out the mechanics and the rest became a breeze. And after spending some quality time with the game, I’m ready to render my verdict in the TOV Breakdown. 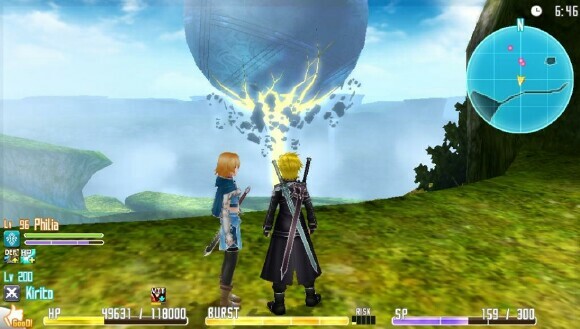 As a fan of the MMO experience – two of my favorite titles are Asheron’s Call and World of Warcraft, I have to say Sword Art Online: Hollow Fragment, does a wonderful job replicating this experience. 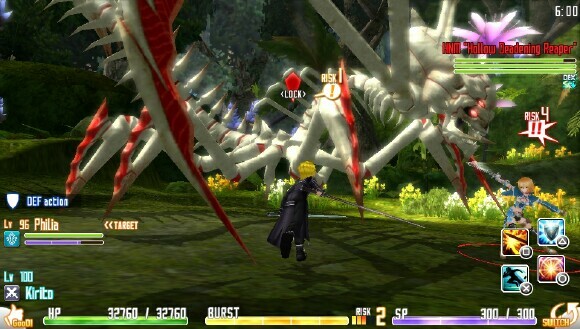 So much so that when playing the game out in the wild, people who looked over my shoulder wondered if in fact I was playing an MMO on the Vita – it looks that good. In the main town, everything is bustling with life as people walk around either alone or in a group, which extends on to the battlefield where you can watch these groups go at it against monsters. And then there’s the boss battle where you and an assault team go against a giant boss. It looks amazing and it takes me back to some of my more memorable MMO adventures! Graphic-wise in game, it’s impressive as the characters are rendered well to match their anime counterparts and the surrounding areas including the dungeons, the main town and such are nicely detailed. And then there's the cinematics, which look amazing! Controls are a mixed bag but for the most part, the gameplay is spot on though there is some lag with some actions (more on that in the next section). Otherwise, once you get used to the mechanics you’ll breeze through in no time. The music is OK and I’m even more pleased that the original Japanese voice is kept intact. I stopped watching SOA after episode 14 because I felt that was all the story I needed. Thankfully, Hollow Fragment came along and it allows me to continue the journey in the world I fell in love with in the anime. Great job Bandai/Namco! OK I do have a few objections (just a few). My biggest gripe I have with the game is how you use health items – there is a serious delay before you actually get to use an item. In any RPG – MMO or otherwise, using a curative is almost instantaneous. In this game, especially when you’re in the midst of battle, you have to try and get to a safe distance to use an item before the enemy pounces on you. And then you have to wait as the action to apply a health item is performed. And here’s the kicker – there’s no safety zone if you're under enemy attack! Understandable if you’re in a boss battle, but when you’re out on the field, and your health starts to run low, there is no running away from an enemy as they are relentless in the chase. The only way to save yourself is to run towards the next screen. Even in an MMO, enemies will stop the hunt after awhile, but in this game? Nope, not happening. Next are the translations, which can get really bad and sometimes confusing. Thankfully you can breeze right through it. 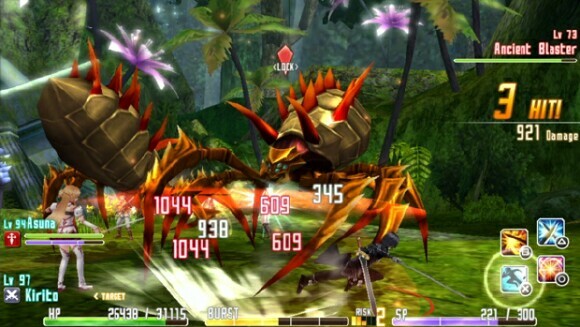 If you’re a fan of the Sword Art Online anime/manga, then definitely add Hollow Fragment to your Vita collection as it's the perfect companion to saddle alongside the series. 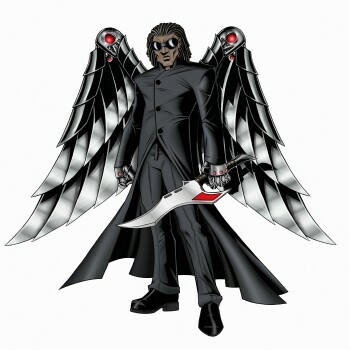 The game does a great job in capturing the MMO experience that is portrayed in the series, with the inclusion of the Hollow Area that ups the level of difficulty. The Bad section be damned, I definitely recommend picking this one up! And out of TOV 5 stars, Sword Art Online: Hollow Fragment gets a 4. Now should I continue the series or just stay where I’m at?